It’s been 34 since the original Karate Kid hit theaters in 1984. The movie inspired a new generation of karate and martial arts enthusiasts and provided an underdog story that we haven’t seen the like of for many years. It taught kids to fend for themselves and stand up to bullies, even if it means taking a couple of knocks along the way. We learned tolerance of other cultures and that fighting is ALWAYS a last option. Karate dojos across the country saw a massive influx of new students and everyone wanted to show how well (or not) they could do a crane kick. Bullies were viewed as pathetic and had far less power over their victims. We all felt empowered. Then, of course, time happened. Dojo numbers fell as kids grew up or lost interest, people forgot that standing up for themselves was an option, and bullies found a whole new medium to take out there frustrations. A sense of entitlement spread and became more common, but people didn’t have the spine to back it up. We’ve now seen a raise of people needing “safe spaces” as an escape for internet trolls and others with opinions. We now live in a divided nation and world. Blame it on what you like; there’s not even peace within countries as people riot over race, religion, and politics. 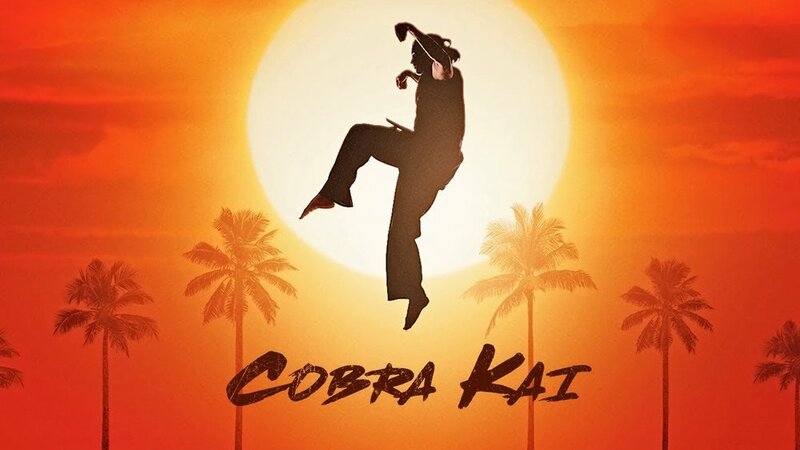 Cobra Kai takes the story of the Karate Kid, with just the proper twists and aged it up to appeal to the original audience, but what Cobra Kai really did, is far more important. Cobra Kai shows us what the bully faced and learned, and it’s not pretty. Cobra Kai shows us how taking cheap shots, striking first, striking hard, and showing no mercy, can be incredibly tempting, even to the most noble of us. There’s a beautiful scene in the second act of the season where Johnny and Daniel are forced to open up and spend time together, and they realize that they have a little more in common than either had known. Daniel feels remorse for not taking the time to get to know his enemy. Johnny realizes that Daniel never understood how much his actions had hurt the Cobra Kai star pupil. For just a moment, we see a perfect friendship begin to form. Then it gets all mucked up because of a misunderstanding. However, the experience does have a lasting effect when Johnny shows that sometimes showing mercy isn’t weakness, but rather honor. Taking the time to understand you enemy may never afford you the opportunity to defeat them, but you might defeat something even mightier in the process. But that’s all we have time for today. Until next time we are Orc Rogues.